Ultimate Protector contains wild bilberry and wild blueberry, as well as components from 29 different fruits, vegetables, and herbs. Each of these ingredients contain substances that may be considered to be polyphenols, antioxidants, and Nrf2 activators. In this article I will explore the ingredients wild bilberry and wild blueberry, which are components of Anthocomplete™ and VitaBerry Plus® from Futureceuticals. AnthoComplete™ (N669) is a specially designed blend of anthocyanins derived from wild bilberry and wild blueberry, acai, black currant extract, sweet cherry, raspberry, elderberry, blackberry, aronia, black soybean hull extract, and blue corn. Anthocyanins are powerful plant polyphenols associated with a variety of areas of human health, including healthy aging, healthy glucose metabolism, cardiovascular health, and inflammation management. Carefully designed to maximize the amount of beneficial anthocyanins that can be available in a single source, AnthoComplete is a proprietary formula suitable for a wide-range of applications. With its diverse blend, AnthoComplete contains a minimum level of 10% anthocyanins, 3,000 ORAC μmole TE/g (typical), and 15% total phenolics (typical). VitaBerry® (N1023) is the trade name for a line of high ORAC blends of fruit powders and fruit extracts, exclusively available through FutureCeuticals. VitaBerry® is a proprietary formula that combines wild bilberry and wild blueberry, cranberry, raspberry, strawberry, prune, cherry, and grape whole powders and extracts into lines of custom blends. 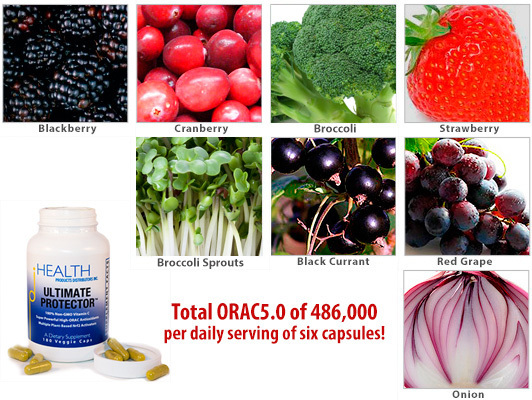 High in fruit polyphenols, anthocyanins, proanthocyanins, ellagic acid, chlorogenic acid, resveratrol, and quinic acid, VitaBerry offers 6,000 ORAC units in a single gram. VitaBerry® Plus (N81.3) combines the standard blend of VitaBerry® with resveratrol and quercetin to deliver a minimum of 12,000 ORAC units per gram. Bilberry is any of several Eurasian species of low-growing shrubs in the genus Vaccinium, bearing edible, nearly black berries. The species most often referred to is Vaccinium myrtillus L., but there are several other closely related species. Bilberries are distinct from blueberries but closely related. Whereas the bilberry is native to Europe, the blueberry is native to North America. The bilberry fruit is smaller than that of the blueberry, but with a fuller taste. Bilberries are darker in color, and usually appear near black with a slight shade of purple. While blueberry fruit pulp is light green in color, bilberry is red or purple, heavily staining the fingers, lips, and tongue of consumers eating the raw fruit. The color comes from diverse anthocyanins. So-called wild (lowbush) blueberries, smaller than cultivated highbush ones, are prized for their intense color. “Wild” has been adopted as a marketing term for harvests of managed native stands of lowbush blueberries. The bushes are not planted or genetically manipulated, but they are pruned or burned every two years, and pests are “managed”. The content of polyphenols and anthocyanins in lowbush (wild) blueberries (V. angustifolium) exceeds values found in highbush cultivars. Wild bilberry and wild blueberry (above) provide Nrf2 activators. The key compounds in bilberry fruit are called anthocyanins and anthocyanosides. These compounds help build strong blood vessels and improve circulation to all areas of the body. They also prevent blood platelets from clumping together (helping to reduce the risk of blood clots), and they have antioxidant properties (preventing or reducing damage to cells from free radicals). Anthocyanins boost the production of rhodopsin, a pigment that improves night vision and helps the eye adapt to light changes. Bilberry fruit is also rich in tannins, a substance that acts as an astringent. The tannins have anti-inflammatory properties and may help control diarrhea. Bilberries have been shown to have the highest Oxygen Radical Absorbance Capacity (ORAC) rating of more than 20 fresh fruits and berries. The antioxidant properties of bilberries were shown to be even stronger than those of cranberries, raspberries, strawberries, plums, or cultivated blueberries. Databases of scientific studies (like the National Institutes of Health (NIH) PubMed database) contain thousands of up-to-date studies and abstracts about various Vaccinium species, including wild bilberry and wild blueberry (V. myrtillis and V. angustfolium, respectively). We provide a few relevant scientific studies on the antioxidant effects of wild bilberry and wild blueberry. In vitro anticancer activity of fruit extracts from Vaccinium species. Fruit extracts of four Vaccinium species (lowbush blueberry, bilberry, cranberry, and lingonberry) were screened for anticarcinogenic compounds by a combination of fractionation and in vitro testing of their ability to induce the Phase II xenobiotic detoxification enzyme quinone reductase (QR) and to inhibit the induction of ornithine decarboxylase (ODC), the rate-limiting enzyme in polyamine synthesis, by the tumor promoter phorbol 12-myristate 13-acetate (TPA). The crude extracts, anthocyanin and proanthocyanidin fractions were not highly active in QR induction whereas the ethyl acetate extracts were active QR inducers. The concentrations required to double QR activity (designated CDqr) for the ethyl acetate extracts of lowbush blueberry, cranberry, lingonberry, and bilberry were 4.2, 3.7, 1.3, and 1.0 microgram tannic acid equivalents (TAE), respectively, Further fractionation of the bilberry ethyl acetate extract revealed that the majority of inducer potency was contained in a hexane/chloroform subfraction (CDqr = 0.07 microgram TAE). In contrast to their effects on QR, crude extracts of lowbush blueberry, cranberry, and lingonberry were active inhibitors of ODC activity. The concentrations of these crude extracts needed to inhibit ODC activity by 50% (designated IC50) were 8.0, 7.0, and 9.0 micrograms TAE, respectively. The greatest activity in these extracts appeared to be contained in the polymeric proanthocyanidin fractions of the lowbush blueberry, cranberry, and lingonberry fruits (IC50 = 3.0, 6.0, and 5.0 micrograms TAE, respectively). The anthocyanidin and ethyl acetate extracts of the four Vaccinium species were either inactive or relatively weak inhibitors of ODC activity. Thus, components of the hexane/chloroform fraction of bilberry and of the proanthocyanidin fraction of lowbush blueberry, cranberry, and lingonberry exhibit potential anticarcinogenic activity as evaluated by in vitro screening tests. Bilberry (Vaccinium myrtillus) anthocyanins modulate heme oxygenase-1 and glutathione S-transferase-pi expression in ARPE-19 cells. 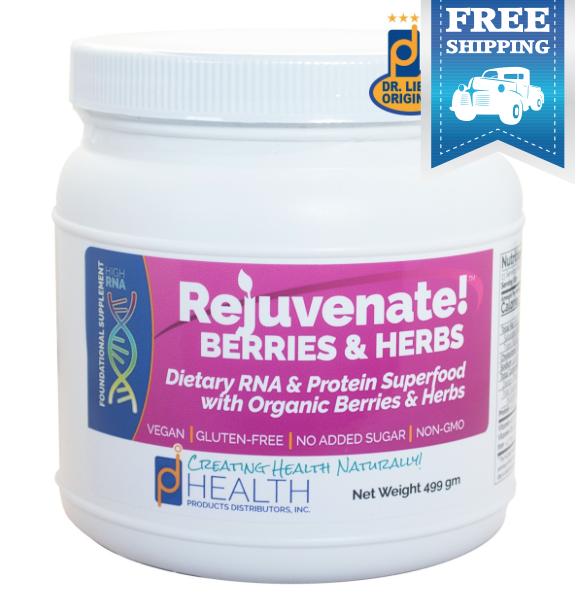 PURPOSE: To determine whether anthocyanin-enriched bilberry extracts modulate pre- or posttranslational levels of oxidative stress defense enzymes heme-oxygenase (HO)-1 and glutathione S-transferase-pi (GST-pi) in cultured human retinal pigment epithelial (RPE) cells. METHODS: Confluent ARPE-19 cells were preincubated with anthocyanin and nonanthocyanin phenolic fractions of a 25% enriched extract of bilberry (10(-6)-1.0 mg/mL) and, after phenolic removal, cells were oxidatively challenged with H(2)O(2). The concentration of intracellular glutathione was measured by HPLC and free radical production determined by the dichlorofluorescin diacetate assay. HO-1 and GST-pi protein and mRNA levels were determined by Western blot and RT-PCR, respectively. RESULTS: Preincubation with bilberry extract ameliorated the intracellular increase of H(2)O(2)-induced free radicals in RPE, though H(2)O(2) cytotoxicity was not affected. By 4 hours, the extract had upregulated HO-1 and GST-pi protein by 2.8- and 2.5-fold, respectively, and mRNA by 5.5- and 7.1-fold, respectively, in a dose-dependent manner. Anthocyanin and nonanthocyanin phenolic fractions contributed similarly to mRNA upregulation. CONCLUSIONS: Anthocyanins and other phenolics from bilberry upregulate the oxidative stress defense enzymes HO-1 and GST-pi in RPE, suggesting that they stimulate signal transduction pathways influencing genes controlled by the antioxidant response element. Berry anthocyanins suppress the expression and secretion of proinflammatory mediators in macrophages by inhibiting nuclear translocation of NF-κB independent of NRF2-mediated mechanism. The objectives of this study were to compare the anti-inflammatory effects of anthocyanins from blueberry (BBA), blackberry (BKA), and blackcurrant (BCA) and to determine the relationship between their antioxidant capacity and anti-inflammatory effect in macrophages. Major anthocyanins in BBA, BKA and BCA were malvidin-3-glucoside (16%), cyanidin-3-glucoside (98%) and delphinidin-3-rutinoside (44%), respectively. BKA showed higher total antioxidant capacity than BBA and BCA. RAW 264.7 macrophages were incubated with 0-20 μg/ml of BBA, BKA and BCA, and subsequently activated by lipopolysaccharide (LPS) to measure proinflammatory cytokine production. Interleukin 1β (IL-1β) messenger RNA (mRNA) levels were significantly decreased by all berry anthocyanins at 10 μg/ml or higher. Tumor necrosis factor α (TNFα) mRNA levels and secretion were also significantly decreased in LPS-treated macrophages. The levels of the repression were comparable for all berry anthocyanins. LPS-induced nuclear factor κB (NF-κB) p65 translocation to the nucleus was markedly attenuated by all of the berry anthocyanins. In bone marrow-derived macrophages (BMMs) from nuclear factor E2-related factor 2 wild-type (Nrf2(+/+)) mice, BBA, BKA and BCA significantly decreased cellular reactive oxygen species (ROS) levels with a concomitant decrease in IL-1β mRNA levels upon LPS stimulation. However, in the BMM from Nrf2(-/-) mice, the anthocyanin fractions were able to significantly decrease IL-1β mRNA despite the fact that ROS levels were not significantly affected. In conclusion, BBA, BKA and BCA exert their anti-inflammatory effects in macrophages, at least in part, by inhibiting nuclear translocation of NF-κB independent of the NRF2-mediated pathways. The berries of bilberry and black currant are rich source of anthocyanins, which are thought to have favorable effects on non-alcoholic steatohepatitis (NASH). This study was designed to examine whether purified anthocyanins from bilberry and black currant are able to limit the disorders related to NASH induced by a methionine-choline-deficient (MCD) diet in mice. The results showed that treatment with anthocyanins not only alleviated inflammation, oxidative stress, steatosis and even fibrosis, but also improved the depletion of mitochondrial content and damage of mitochondrial biogenesis and electron transfer chain developed concomitantly in the liver of mice fed the MCD diet. Furthermore, anthocyanins treatment promoted activation of AMP-activated protein kinase (AMPK) and expression of peroxisome proliferator-activated receptor-gamma coactivator-1α (PGC-1α). These data provide evidence that anthocyanins possess significant protective effects against NASH and mitochondrial defects in response to a MCD diet, with mechanism maybe through affecting the AMPK/PGC-1α signaling pathways. Effect of blueberry on hepatic and immunological functions in mice. Background: Conventional drugs used in the treatment and prevention of liver diseases often have side effects, therefore research into natural substances are of significance. This study examined the effects of blueberry on liver protection and cellular immune functions. METHODS: To determine the effects of blueberry on liver protective function, male mice were orally administered blueberry (0.6 g/10 g) or normal saline for 21 days. Hepatic RNA was extracted by Trizol reagent, and the expression of Nrf2, HO-1, and Nqo1 was determined by real-time RT-PCR. Superoxide dismutase (SOD) and malondialdehyde (MDA) in liver homogenate were determined, and liver index was measured. To assess the effects of blueberry on cellular immune function, male mice received blueberry (0.4, 0.6, or 0.8 g/10 g) for 35 days, and the percentages of CD3+, CD4+, and CD8+ T lymphocyte subgroups in peripheral blood were detected by flow cytometry, the index of the thymus and spleen was measured, and lymphocyte proliferation in the spleen was determined by MTT assay. RESULTS: Blueberry treatment significantly increased the expression of Nrf2, HO-1, and Nqo1, the important antioxidant components in the liver. Hepatic SOD in the blueberry group was higher and MDA was lower than that in the control group (P<0.05). Blueberry also increased the index of the spleen and enhanced the proliferation of lymphocytes of the spleen (P<0.05). The percentages of the CD3+ and CD4+ T lymphocyte subsets and the CD4+/CD8+ ratio were also increased by blueberry (P<0.05). CONCLUSIONS: Blueberry induces expression of Nrf2, HO-1, and Nqo1, which can protect hepatocytes from oxidative stress. 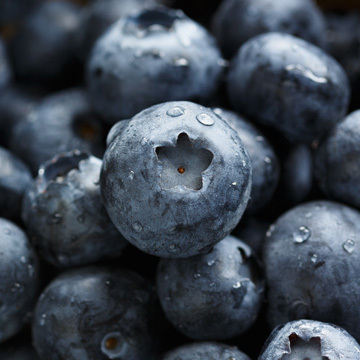 In addition, blueberry can modulate T-cell function in mice. Anthocyanins are natural polyphenolic compounds widely distributed as pigments in many fruits and vegetables. In addition to displaying antioxidant properties, these nutraceuticals exhibit anti-inflammatory, anti-proliferative, and pro-apoptotic activities suggesting their potential as novel chemotherapeutic agents. Through cell cycle down-regulation, and context-specific pro-oxidant activity, anthocyanins induce cytotoxicity in cancer cells in vitro and in vivo. Specifically, via regulation of the Bcl-2 protein family and induction of caspase-dependent or caspase-independent apoptotic pathways, anthocyanins inhibit the growth of cancers by inducing cell death. Moreover, by modulating the activities of specific kinases and proteases, including (but not limited to) cyclin-dependent kinases, mitogen-activated protein kinases, matrix metalloproteases, and urokinase-type plasminogen activators, anthocyanins induce apoptosis, inhibit motility, and suppress invasion of cancer cells. In marked contrast to their effects in cancer cells, we have found that anthocyanins display significant anti-apoptotic activity in neurons. Antioxidant properties of these nutraceuticals, particularly at the level of the mitochondria, appear to underlie their neuroprotective effects. The opposing effects of anthocyanins on cancer cells and neurons suggest that these nutraceuticals are promising candidates for development as either chemotherapeutic agents or novel neuroprotective compounds for the treatment of cancers or neurodegenerative diseases, respectively. A long-standing yet controversial bioactivity attributed to polyphenols is their beneficial effects in vision. 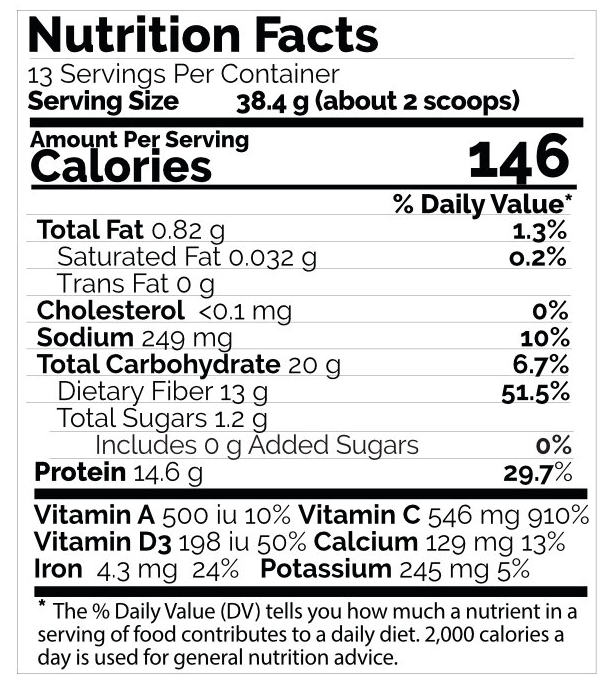 Although anecdotal case reports and in vitro research studies provide evidence for the visual benefits of anthocyanin-rich berries, rigorous clinical evidence of their benefits is still lacking. Recent in vitro studies demonstrate that anthocyanins and other flavonoids interact directly with rhodopsin and modulate visual pigment function. Additional in vitro studies show flavonoids protect a variety of retinal cell types from oxidative stress-induced cell death, a neuroprotective property of significance because the retina has the highest metabolic rate of any tissue and is particularly vulnerable to oxidative injury. However, more information is needed on the bioactivity of in vivo conjugates and the accumulation of flavonoids in ocular tissues. The direct and indirect costs of age-related vision impairment provide a powerful incentive to explore the potential for improved vision health through the intake of dietary polyphenolics. A number of genes important for detoxification and antioxidant defense induced by mild stress generated by, for example, physical activity/exercise, caloric restriction, or alcohol may provide health benefits by causing the organism to mount such a defense response. More recently, induction of these defenses has also been attributed to phytochemicals or secondary metabolites from dietary plants. Many polyphenols, which constitute a large fraction of these phytochemicals, increase cellular levels of antioxidants, such as glutathione and other components of the detoxification systems, via the transactivation of genes containing electrophile response elements (EpREs) within their promoters. One such gene, γ-glutamylcysteine synthetase, has previously been shown to be positively regulated by quercetin, a flavonoid found in high concentrations in onions, apples, and bilberries through EpRE transactivation. As a further step, we have investigated whether bilberries and quercetin have the ability to induce transcription of Fos-related antigen 1 (Fra-1), which contains two EpREs in its promoter. Fra-1 is a member of the activator protein 1 (AP-1) family of transcription factors and, due to the lack of transactivation domain Fra-1, can suppress activation of AP-1. 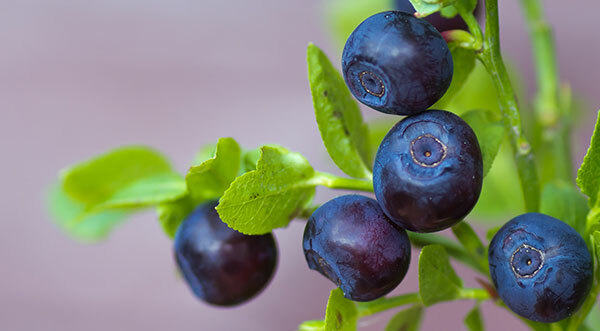 We present results demonstrating that extracts from bilberries, and the flavonoid quercetin, abundant in bilberries, induce the fra-1 promoter and the cellular content of Fra-1 mRNA. We further provide evidence that this induction is mediated through EpREs. Bomser et al. screened fruit extracts of bilberry for potential anticarcinogenic compounds by a combination of fractionation and in vitro testing of their ability to induce the Phase 2 xenobiotic detoxification enzyme quinone reductase (QR) and to inhibit the induction of ornithine decarboxylase (ODC), the rate-limiting enzyme in polyamine synthesis, by the tumor promoter phorbol 12-myristate 13-acetate (TPA).5 The crude extracts, anthocyanin, and proanthocyanidin fractions were not found to be highly active in Phase 2 xenobiotic detoxification enzyme quinone reductase (QR) induction, whereas the ethyl acetate extracts were active QR inducers. The concentrations required to double QR activity (designated CDqr) for the ethyl acetate extracts of bilberry were 1.0mcg tannic acid equivalents (TAE). Further fractionation of the bilberry ethyl acetate extract revealed that the majority of inducer potency was contained in a hexane/chloroform subfraction (CDqr = 0.07mcg TAE). The anthocyanidin and ethyl acetate extracts of bilberry were either inactive or relatively weak inhibitors of ornithine decarboxylase (ODC) activity. The authors concluded that components of the hexane/chloroform fraction of bilberry exhibit potential anticarcinogenic activity, as evaluated by in vitro screening tests. Antiproliferative effects: According to one laboratory study, anthocyanins were the predominant phenolic compounds in bilberry extracts.31 Compared to other plants with anthocyanins, such as black currant or lingonberry, cell growth inhibition was greater for bilberry than other plants studied. The pro-apoptosis marker, Bax, was increased 1.3-fold in bilberry-treated cells, whereas the pro-survival marker, Bcl-2, was detected only in control cells. The results demonstrated that bilberry and other berry extracts containing anthocyanins inhibited cancer cell proliferation, mainly via the p21WAF1 pathway. Astringent effects: Bilberry contains tannins that have been used medicinally as astringents and to treat diarrhea. Bioavailability in animals is low. Following oral doses in rats, plasma levels of VMA reached a peak at 15 minutes and declined rapidly within two hours, and the absolute bioavailability was 1.2% of the administered dose.38 The gastrointestinal absorption of VMA was 5% of the administered dose. Another study found a differential affinity of VMA for certain tissues (especially skin and kidney).20 This suggests that different tissues may have more persistent local concentrations. Bettini V, Mayellaro F, Ton P, and et al. Interactions between Vaccinium myrtillusanthocyanosides and serotonin on splenic artery smooth muscle. Fitoterapia 1984;55(4):201-208. Marcollet M, Bastide P, and Tronche P. Effet angio-protecteur des anthocyanosides de Vaccinium myrtillus odjective vis a vis de la liberation de la lactate deshydrogenase (LDH) et de ses isoenzymes cardiaques chez le rat soumis a une epreuve de nage. C R Soc Biol 1970;163:1786. Wild bilberries and wild blueberries are important fruits full of polyphenols, anthocyanins, antioxidants, and Nrf2 activators that help to make Ultimate Protector such an outstanding nutritional supplement. Ultimate Protector provides wild bilberry and wild blueberry, and 27 other Nrf2 activator-containing plant-based ingredients.